The New Monitor Audio Gold 200 and Platinum II 200 speakers. Let’s now consider Monitor Audios penultimate range - the new Platinum II series and most specifically, the floor standing PL 200-II. To understand where the new Platinums have come from you have to unravel some of the timeline in Monitors Audios little frenzy of model releases. The delineation of the whole range makes enough sense with Bronze, Silver, Gold and the latest Platinum tying in neatly with the use off metal cone drivers - and originally derives from the colour of anodising of the earliest models. Where it gets a little tricky is the sequence - we first heard a Platinum model around 10 years ago. The Gold GX range was launched shortly afterwards and featured some obvious trickle down. That was replaced by the new Gold range late last year and at this point two generations of progress had effectively made the more affordable range as good, if not better in some areas, than the older more costly Platinum. Needless to say no-one would have been more aware of this than the Monitor Audio team and they were well advanced in a complete re-working of the flagship range. Far more has gone into this upgrade than any of the other ranges. When first introduced around 9 years ago, the original Platinum models gained near universal acclaim. 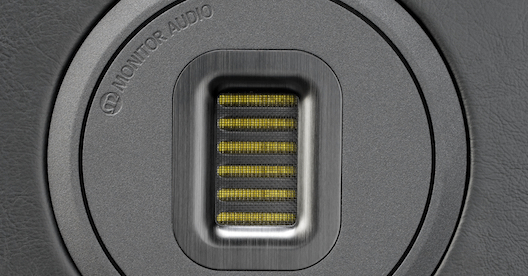 For a full run down on the new Platinum range jump over to the Monitor Audio video here. I’ve heard all of the new models - including the imposing PL-500. The stand mount model, the PL-100-II bears direct comparison with my favourite Sonus fabers. But it was the smallest of the floor standing models that seemed to make the most sense to me - it hits the sweet spot of combining all the virtues of the other models into a package that will work just about any room. While heading towards the aspirational level in terms of cost, owning the PL200 is not out of the question for anyone who wants a speaker system that will see them through the next 20 years or more. When listening to the PL-200, I wanted to draw a direct comparison the the Gold 200s - what exactly do you get that justifies the Platinum? First up, the Platinum is not just a high spec version of the Gold - despite both carrying the ‘200’ designation, the PL-200 has larger drivers and is physically taller and much more substantial. I didn’t realise this until we had both models side by side. So they really are quite distinct designs. From the first listen it was obvious that the Platinums perform at a level well above the Golds - this is no mean feat given the capabilities of the Golds. But it is undeniable and every significant quality is improved - the bass is more substantial and defined, both efficiency and power handling are enhanced. And the top end - oh let me talk about this first. The ribbon tweeter in this speaker is quite possibly one of the very best units regardless of source or cost. Completely designed and built by Monitor Audio, you’ll not find this driver in any other branded speaker and by implication, this alone sets the Platinums apart. The frequency response of this driver goes straight up to 100kHz - that’s almost twice as high as the Golds 60kHz. The pleated construction gives much greater surface area - this delivers greater output, better dispersion and higher power handling. While you’ll be aware you can’t hear a test tone above 20kHz, what the high frequency response allows is speed - the leading edge of all notes, spacial clues and upper harmonics which contribute to the character of music are faithfully delivered with distortion of any type effectively eliminated. The ribbons literally sing - there is sweetness and clarity without a hint of shrillness of strain. These speaker are designed with the new high resolution formats in mind and given an amplifier capable of delivering the appropriate response you’ll get music in a way you’ve never heard before. And of course we re not just talking about digital - analogue sources can be even more rewarding. The Platinums are immediately more revealing, spacious and detailed while managing to sound more relaxed. The midrange and bass drivers are also of unique construction - the cone material is a sandwich - first an extremely thin coated alloy, backed by a honey comb structure, in turn backed by an ultra light carbon fibre layer - the cone is seamless one piece construction with no central dustup - effectively a clean, light rigid but damped piston which can move with lightning speed, stop just as quickly and remain completely free of flex induced distortion. In the original Platinums the drivers were all held in the cabinet by conventional front mounted screws. Now they are attached in the same way has all the other new MA models with a single long (and much lager) bolt that pulls the driver into the cabinet - this bolt its tightened from the rear. As well as looking a whole lot better this arrangement greatly improves cabinet rigidity, ensures a far better seating of the driver in the cabinet and allows easy tightening (or if ever needed, removal) of each driver. It’s so simple and effective that you have to wonder why everyone else persists with the original system. Although you can’t see it from the outside, the act of lifting the speakers tells all you need to know about the level if internal bracing and damping within the speaker - at 36 kg they are seriously heavy despite not being that big. The cabinet features dual rear postings for the two bass drivers. The Midrange has it’s own specially tapered, damped and sealed enclosure. Much of what you hear in both transparency and the seamless transition between drivers will be down to the cross-over design. It’s obvious that Monitor Audio have worked hard in this area and while the only outward manifestation are the custom made binding posts - very nearly a work of art in themselves - it’s a safe assumption that the internal components and layout are equally special. If the internals are without compromise, the outer skin of the new Platinums is simply luxurious. The quality of the polished wood finish and real english leather covered front plate are only equalled by the best examples of the Sonus faber range. There is no UK or US based company we know of that is achieving the same standard of precision and overall finish, regardless of cost. Monitor Audio have gone well beyond what you might regard as furniture quality with these speakers. They won’t just fit into a room - they will be the best part of it. There is a concession to practicality with the drivers all featuring individual steel mesh protective covers rather than a conventional grill - these are non resonant, acoustically transparent and don’t interfere with dispersion. They are removable and an absolute purist may well chose to do so. But even the best behaved children (and some adults) have been known to let curiosity get the better of them and so unless you have good reason, I’d regard the covers as an intrinsic part of the design and keep them on. Describing the sound of the new Platinums is at once simple and complex. They easily outperform anything else we’ve had in stock so we could just call them the ‘best’. They also allow you to hear everything in the system ahead of them, so the character of the sound produced is, in many ways, the product of many parts and this does mean that any description has to be in context. The feeling I have is that they greatly reduce limitations - you might think that an amplifier (by way of example) has a certain level of performance. Yet with the Platinums it is readily apparent that even modest amplifiers are producing more detail than we thought possible - other speakers were simply loosing or obscuring this. The reasonably efficient nature of the Platinums mean that a large amplifier is by any means mandatory. In fact some of the best amplifiers out there aren’t startlingly powerful in terms of wattage rating but will easily drive the PL-200s to room filling levels. On the other hand I’ve matched the PL-200s with NuPrimes rather awesome MCH-K38 multichannel power amplifier - the trick with this being that you can bridge all the channels turning it into a fiercely powerful 4 channel amplifier - each channel tearing out 400 watts - which is perfect for bi-amping the PL200-IIs. This really made them stand up and take notice. 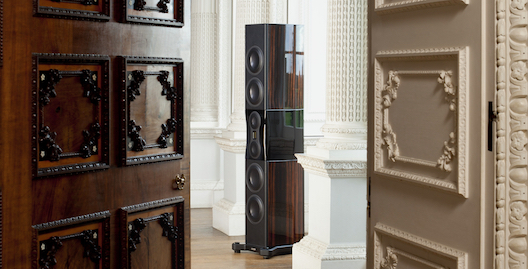 Monitor Audio themselves asked ‘how can a loudspeaker be made to sound more natural?’ when designing the new Platinum range. This shows through in the end result - the PL-200-IIs are detailed without being analytical, fast but not hard. As a model, I characterise the 200s as being almost feline - they can literally purr at times, are agile and poised, yet can be devastatingly fast and lethal if required. Of all the Monitor Audio ranges, the Platinums have the greatest 'presence' in their sonic character - they can energise a room at even quite low volumes. Not quite up with the best Sonus faber models which seem to be uncanny in their ability to project voices, but far better than most. And there are a whole lot of things the Platinums do that Sonus faber don’t - the ribbon tweeter is undeniably more extended and transparent, the cabinets more inert and the metal cone drivers have more attack and verve. Its tough choice between Scottish or Italian leather - the PL-200IIs take on the Sonus faber Olympica 2 floor standers and I’d be hard pressed to say which is best - finish quality, overall design, the components employed, are effectively equal. There aesthetics of the Monitor Audios are more modern and ever so slightly brutal with the individual covers and a solidly level footing. Sonus faber have a distinctive voice while Monitor Audio look for more accuracy but the end result in both cases is an awesomely capable premium floor standing speaker system. What we come down to is which speaker model or system is best for you? It is unarguable that you should expect exceptional longevity, high performance that is demonstrably better than lower cost alternatives and ability to work well with a broad range of electronics. Both the Monitor Audio Gold and Platinum ranges deliver this. That the PL-200-II outperforms the Gold 200 is readily apparent - and that a great part of this performance advantage is imparted by the better quality components. The finish quality of the Platinums, with leather and highly polished timber provide less tangible benefits such as pride of ownership and a degree of exclusivity. But I’m not interested in selling status symbols - it’s the performance that matters and we know full well that the leather also provides acoustic benefits. The curved cabinets likewise. If the finish is a luxury, it hasn’t come at the cost of any performance or value. 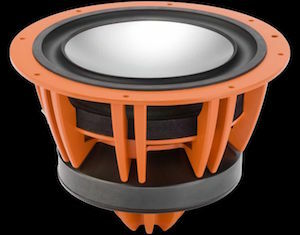 The key to the value proposition of even a $15,000 speaker system is - can the designer and manufacturer harness the efficiencies of scale and experience to produce something that is genuinely better than all alternatives at this level? I really think Monitor Audio have done it with the new Platinum range. There are better speakers but they do cost considerably more. But I’ve not heard any other speaker that delivers the broad basket of qualities, especially the silky smooth extension and detail directly attributable to the unique ribbon tweeter. The PL-200-II is a revelation in the best sense - these speakers will show you just how good music can sound in the context of almost any system or room. If you can find a way to afford them you’ll be well rewarded with a lifetime of enjoyment. Sound like you? Monitor Audio Platinum PL200 II speaker system NZ$15,000 the pair. Read more about the entire range on Monitor Audio's home site here.